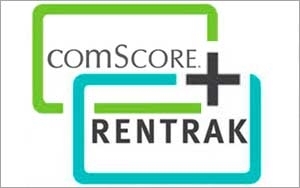 Making a major move for new digital and traditional media measurement services — as well as amping up competition with Nielsen — comScore is buying Rentrak. The deal is valued by some at about $732 million, based on today’s closing stock market share price. Rentrak — which focuses mostly traditional media measurement, including TV and film — and comScore, with its business deep in the digital media space, say the merger will help the combined company focus on immediate pressing industry goals such as coming up with new standards for the next generation of cross-platform measurement. The merger will offer what comScore CEO Serge Matta calls “the cross-platform measurement systems of the future.” Agencies will have access to the cross-platform metrics needed to plan and execute campaigns. “This merger also recognizes the critical importance of combining digital and TV assets for next generation media measurement, which requires a higher degree of precision at both a national and local market level,” Matta says in a statement.